The MGP XT (X-Treme) Mini All Terrain Scooter is one of Madd Gear’s two dirt scooter models. Dirt Scooters are redefining the free style scooter sport by allowing riders the freedom to ride freestyle on a variety of terrains, including off-road. 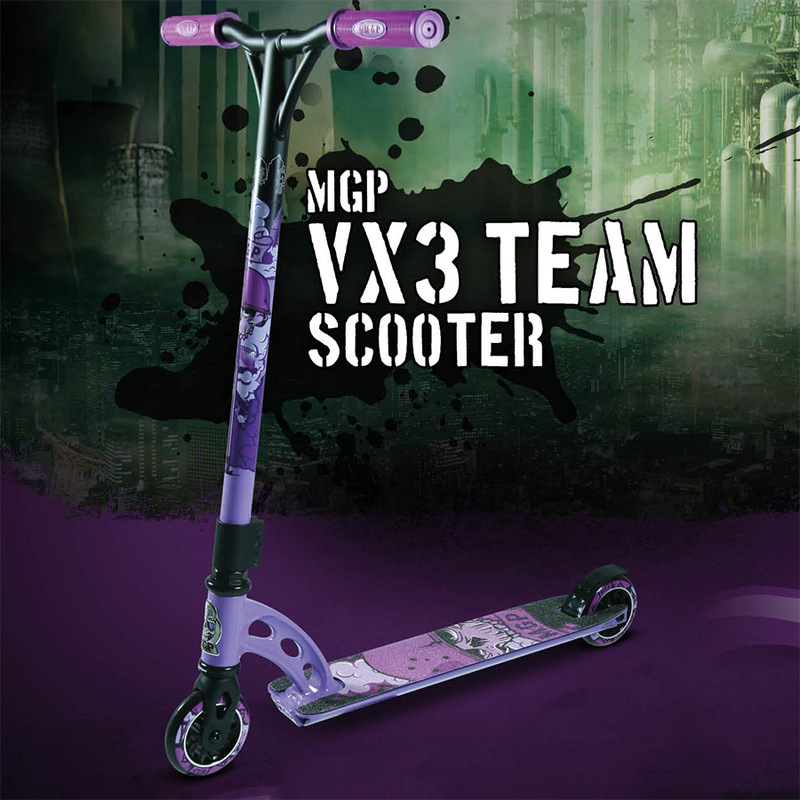 Just as its name implies, the MGP XT Mini All Terrain Scooter is geared for all terrain – perfect for off-road or park sessions. The XT Mini is equipped with a heavy duty steel deck with cutouts, oversized chormoly bars, a threadless fork, integrated headset, MGP oversized Triple Clamp and 6 inch spoked wheels with all terrain tires. 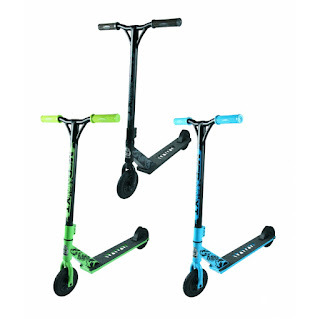 Dirt/All Terrain Scooters are heavier than standard pro scooters so Madd Gear recommends this scooter for ages 8 and up. 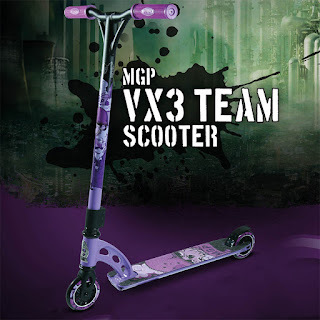 The new version 3 of the MGP Team Edition Scooters are finally here. 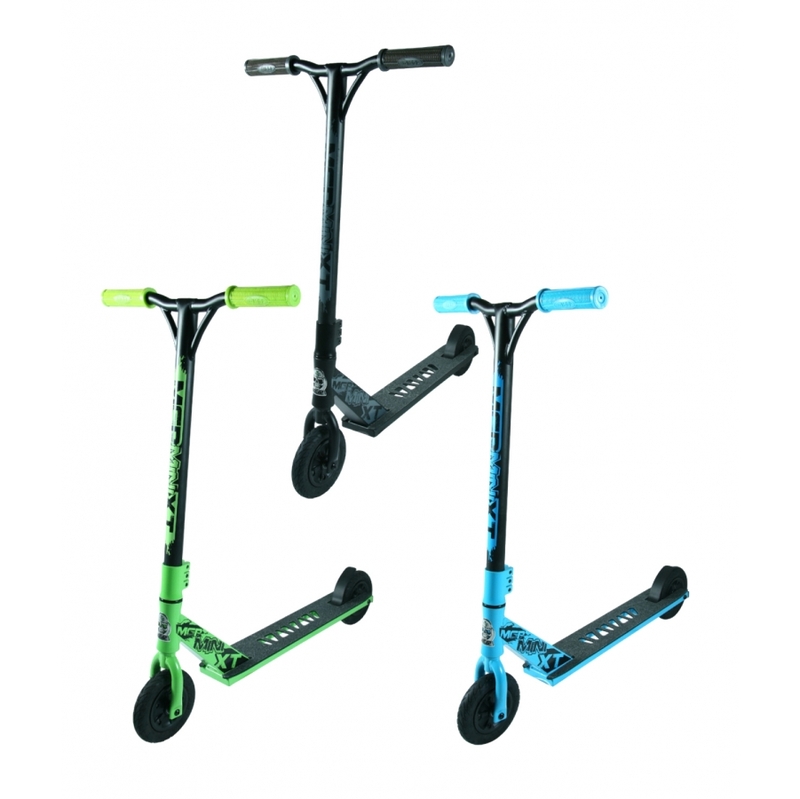 Madd Gear Action Sports has dialed it in with the new Blue MGP Team VX3 Pro Scooters by equipping it with some cool industry leading and functional upgrades. • 4 inch wide VX2 MGP fluted deck (Blue) – a design that creates a lighter weight, yet stronger deck. • Scalloped 82.5 degree downtube – a downtube design unique to MGP scooters and is ideal for foot jams.